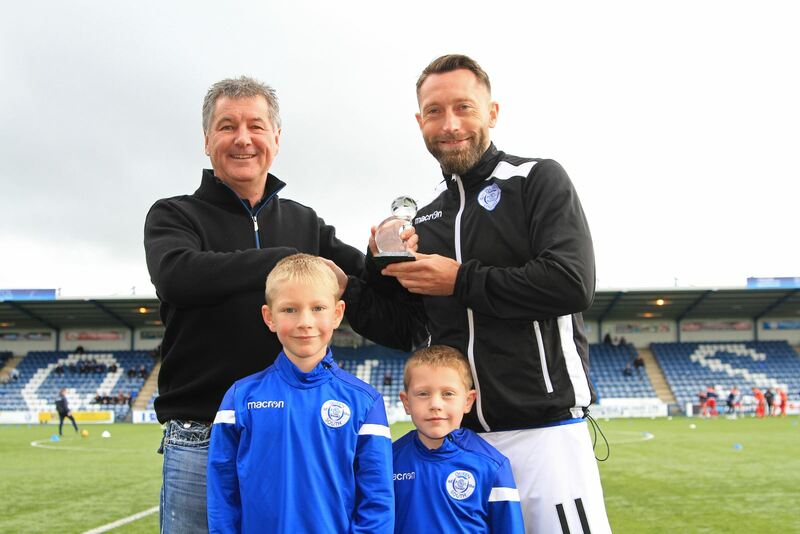 It was 200 not out for Stephen Dobbie yesterday as he made his 200th appearance for Queens in our goal-less draw with Ross County. The striker who is in fine form this season with 20 goals in 11 competitive games so far, including two hat-tricks and four in the game against Ayr United, came close to marking the occasion with a goal but was denied by the crossbar. "Dobbs" was presented with a glass trophy ahead of the game by Dougie Evans from JD Engineering, his player sponsor for this year. They are joined in the picture by Stephen's two boys, Jack and Maxwell.